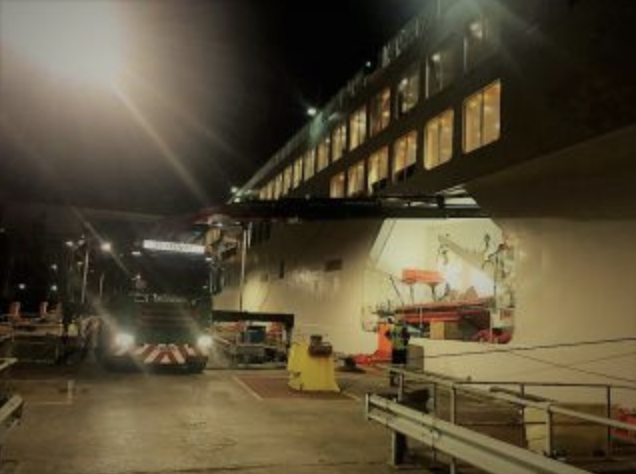 Lift a 4 ton crane onto a P&O ferry which arrives in port at 20:15 and sails again at 24:00 whilst it is bobbing up and down…….. yeah, no problem….. We like a challenge!! It is jobs like these that reiterate to us that investment in staff and equipment is of paramount importance and proves once again to our customers that when a lift is as complex and time critical as something like this they cannot afford to take a gamble on anyone else. As per usual Chris rose to the challenge and got the job done as per the customers requests. As he always states, Chris loves a challenge and if he is told it is not possible will always try his upmost to get the job completed.